The American flag represents a living country and is itself considered a living thing. Between 2011 and 2016 artist Mel Ziegler journeyed through all 50 states and replaced distressed American flags flying at civic and private locations — city halls, post offices, hospitals, homes, and schools — with new flags. These 50 tattered flags form a powerful artwork, Flag Exchange, which spans the geography of our union, and represents the spectrum of our allegiance. The American flag offers a perfect mirror for all of us. For citizens and others alike, it is the shining beacon of hope and resilience of the United States. It also transcends national borders as a symbol of opportunity and unnamable possibility. At the same time, for many throughout our world, this flag is a nationalist and contemptible signal of imperialism. As with the most charged and enduring symbols, it is simultaneously revered, cherished, feared, and despised — it is worth dying for. A Living Thing: Flag Exchange at Federal Hall models the spirit in which we may continue to seek a more perfect union. Here, at the inaugural site of our democracy, Ziegler’s work presents a hopeful and direct image of these United States of America, one that is grounded in conversation with people unlike ourselves, coursing with empathy for their perspectives, and reveals the subtle yet powerfully disarming gift of creativity. Ziegler’s act of sly and generous alchemy is a potent reminder that artists do new and vital things for our public life, by finding the common ground that we have otherwise lost. Mel Ziegler is widely known for his collaborative work with his late partner Kate Ericson — beginning in the early 1980s Ericson Ziegler pioneered the emergence of socially engaged practice and community engagement as vital forms of contemporary art. In the broadest sense, Ziegler’s work asserts the value of rural identities and aesthetics and locates authentic spaces within the increasingly fragmented American experience. For Ziegler, the American landscape is a place of deep distress and profound optimism, yet his work finds new possibilities through monumentalizing and honoring the everyday. 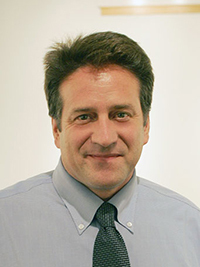 Ziegler is Paul E. Shwab Chair in Fine Arts, Professor of Art and Chair of the Department of Art at Vanderbilt University, in Nashville, Tennessee. He is the founder of the Sandhills Institute in Rushville, Nebraska, which is a catalyst for developing new models of artistic citizenship in America’s heartland. Ziegler is represented by Galerie Perrotin. Visit Federal Hall during A Living Thing and be treated to exhibit themed performances in song and spoken word by the talented Poets in Unexpected Places. Join a National Park Service Ranger talk on Federal Hall and A Living Thing, recounting the origin and evolving meanings of the flag as well as interesting personal stories gathered by the artist Mel Ziegler in his travels. The exhibit and events are free and open to all. Marshall, Tim. A Flag Worth Dying For: The Power and Politics of National Symbols. New York: Scribner, 2016. Teachout, Woden. Capture The Flag: A Political History of American Patriotism. New York: Basic Books, 2009. A Living Thing: Flag Exchange is curated by Hesse McGraw, principal, el dorado; and organized by the National Parks of New York Harbor Conservancy with Visual Arts Advisor Bonnie Levinson; Federal Hall National Memorial; and San Francisco Art Institute. Special thanks to the artist Mel Ziegler and all participants of A Living Thing; Superintendent Shirley McKinney and the staff of Federal Hall National Memorial; San Francisco Art Institute, Robin Beard and Katie Hood Morgan; Galerie Perrotin and Valentine Blondel; The Frances Young Tang Teaching Museum and Art Gallery at Skidmore College and Dayton Director Ian Berry. 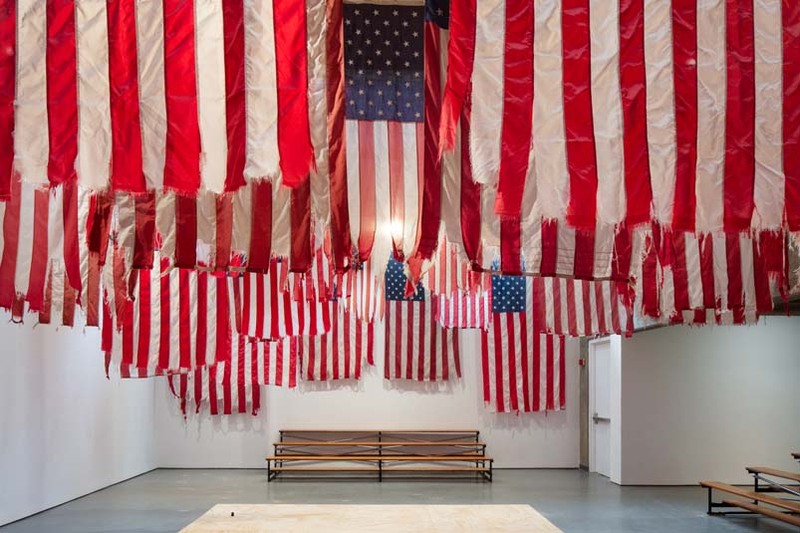 Mel Ziegler, Flag Exchange (2011 – 2016); 50 American flags, one from each state, fabric, cable; dimensions variable; unique. Courtesy of the artist and Galerie Perrotin. Installation view, A Living Thing featuring Mel Ziegler’s Flag Exchange, San Francisco Art Institute, Walter and McBean Galleries, 2017. Photo by Gregory Goode. Image courtesy of the artist and San Francisco Art Institute. Mel Ziegler. Photo by Steve Green. Image courtesy of Vanderbilt University.